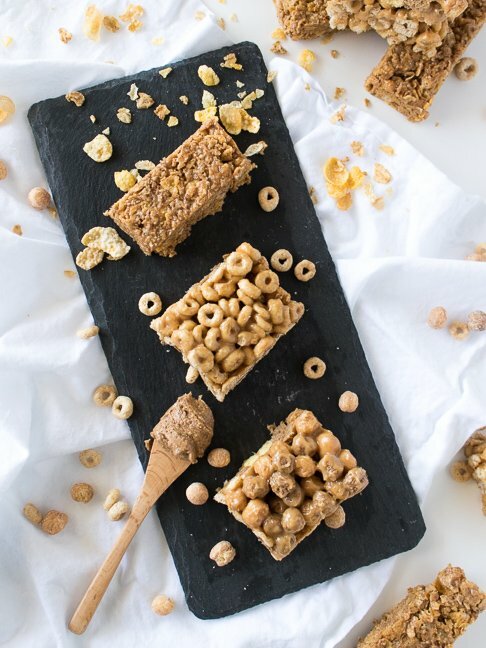 While breakfast cereal bars are delicious options for busy mornings, they often call for extra sugar (beyond whatever is already in the cereal). 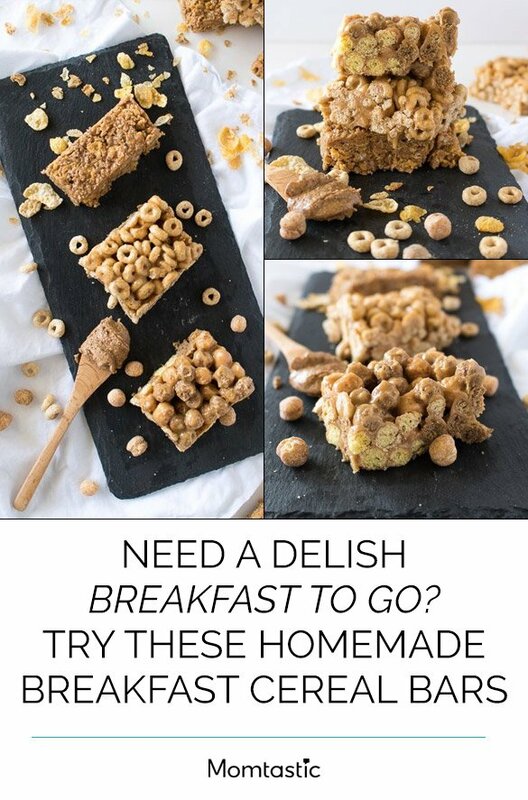 This breakfast cereal bar recipe, however, uses honey as an all-natural sweetener and has protein from nut butter. For variety, I like to make three cereal variations and bake them together in the same pan. 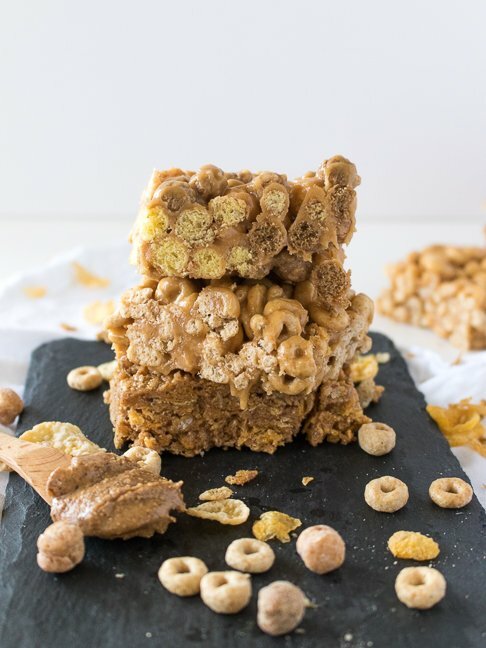 I use Honey Nut Cheerios with peanut butter, Honey Bunches of Oats with almond butter, and Reese’s Puffs with peanut butter — but you can use any cereal and nut butter combination that you like. These bars are easy to make ahead, so you can enjoy them throughout the week. Think of it like making Rice Krispie treats…but healthier. Step 1: Line a 9 x 9 inch baking pan with parchment paper or plastic wrap. Spray lightly with cooking spray and set aside. Step 2: Pour the cereal into a large bowl. 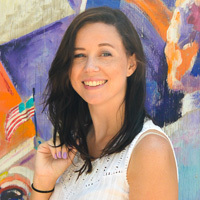 Separate into multiple bowls if making multiple kinds. Step 3: In a small saucepan over low heat, combine the nut butter and honey. Stir occasionally until well combined and just melted. Do not raise heat above low, or you risk burning the mixture. Step 4: Pour over the bowl of cereal (split between bowls if making multiple) and stir with a spoon or spatula until all cereal is coated. Move to the prepared baking pan and press flat with clean hands or the back of a spatula. Move to the fridge to solidify completely before removing and cutting into squares. Note, I made three cereal variations and pressed them all next to each other in the same pan. 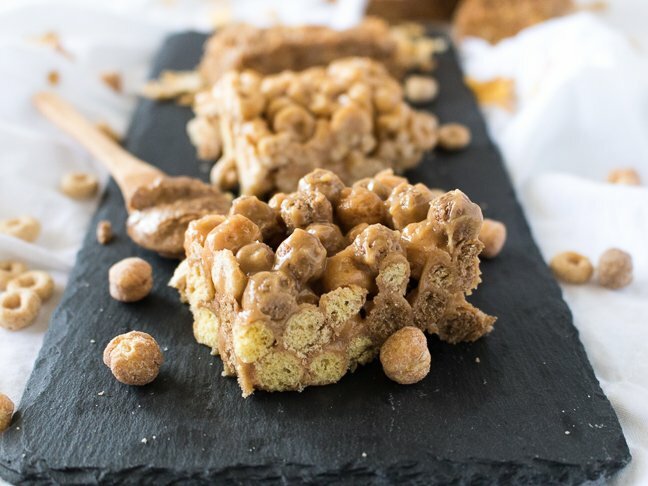 Although you should not normally put nut butter in the refrigerator, this recipe calls for it in order to ensure the bars harden enough to cut without breaking. They can be stored at room temperature or in the fridge after cut into squares.